The GT41 module is part of the TANGRAM product portfolio. 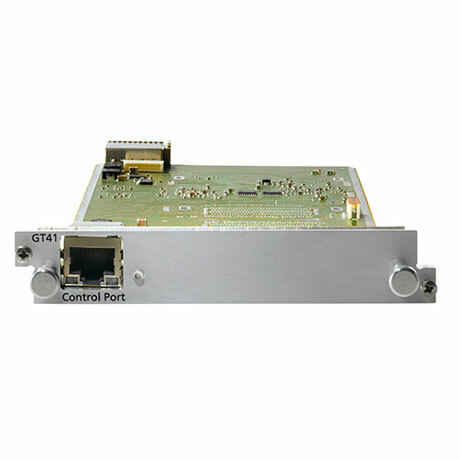 GT41 is a universal IP processing module for multiplexing/remultiplexing MPTS <> SPTS streams and scrambling of content. TANGRAM is a very high density and highly flexible solution for all kinds of networks. The WISI Tangram chassis uses a fully redundant concept. SKU: 220443. Category: Headend Tangram WISI.